Location Location Location! 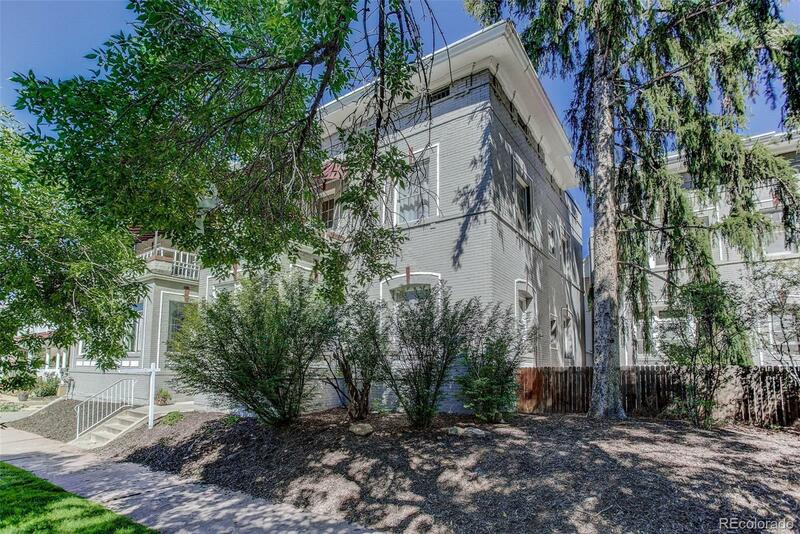 Beautiful Cheesman Park condo loaded with character, no shared walls and a floor plan made for entertaining! Only 1 block to Cheesman Park, this large, sunny, south facing unit also includes a Sun Room AND bonus office/flex space. Gorgeous turn of the century detailing throughout including: Original Woodwork/Built in Floor to Ceiling Bookcase/Butler's Pantry/Claw Foot Tub/Fireplace with Wood Mantle/High Ceilings/ Formal Dining Room/Wood Floors/Gas Stove. Roomy storage area off kitchen. Enjoy a shared, fenced courtyard surrounded by mature trees on a wonderful block. Secured entry, additional storage locker and community bike storage in the building. Great location with easy access to downtown, restaurants and coffee shops.